Whatever you do, don't ask Greg Heffley how he spent his summer holidays, because he definitely doesn't want to talk about it. As Greg enters the new school year, he's eager to put the past three months behind him... and one event in particular. Unfortunately for Greg, his older ... read full description below. Whatever you do, don't ask Greg Heffley how he spent his summer holidays, because he definitely doesn't want to talk about it. As Greg enters the new school year, he's eager to put the past three months behind him...and one event in particular. 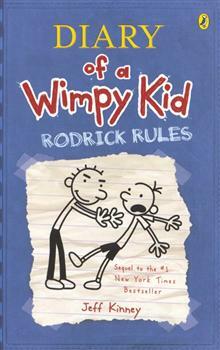 Unfortunately for Greg, his older brother Rodrick knows all about the incident. And secrets have a way of getting out...especially when a diary is involved.